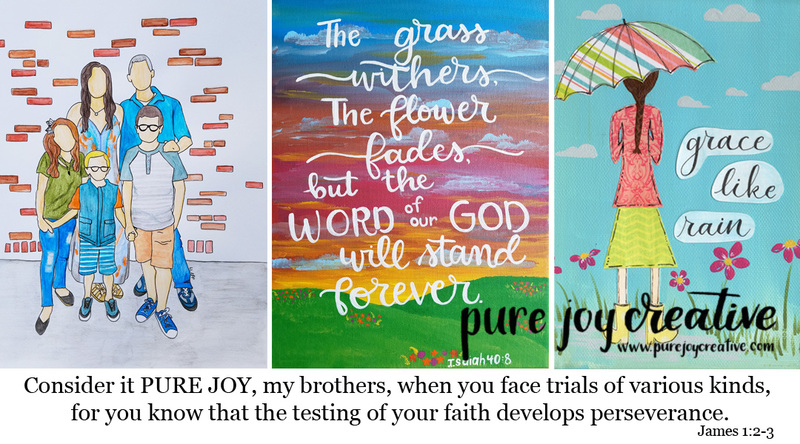 Pure Joy Creative: any ideas...? Can anyone tell me what kind of bird this is? 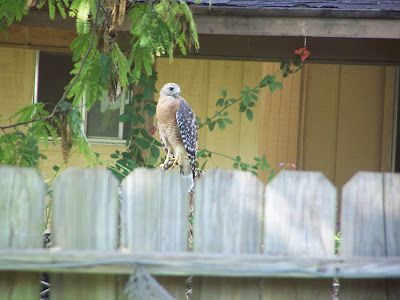 Is it a hawk? I'm no bird expert! 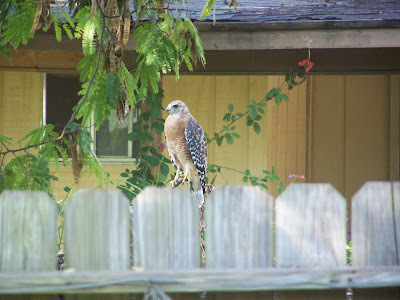 It was in our backyard neighbors backyard, it had a very large wing span when it flew away. Just curious if anyone out there knows.